A Detroit Lock can be dropped in to the Sals diff at home with no gear resetting and common home tools. The most important tools for this job beside basic hand tools are a grinder and rags. You can probably get through most of the maintenance alone if you have any Series Rover skills. Pulling the stock diff is pretty standard: pull the driveshaft, pull the axles, draining the gear oil, pull the rear cover, remove bearing caps and bearings ( labeling is vital), now the tips…. The diff will be fitted extremely tight in the housing. Now you can build yourself a case spreader with some steel and threaded rod, but I am too lazy. So I grab some shop towels and thread them in between ring gear and pinion gear, turn the diff’s nose to feed the rag in between gears, as the rags feeds in between the gears is pushes the diff out. Now the Detroit Locker is a drop into the Sals split case, almost. 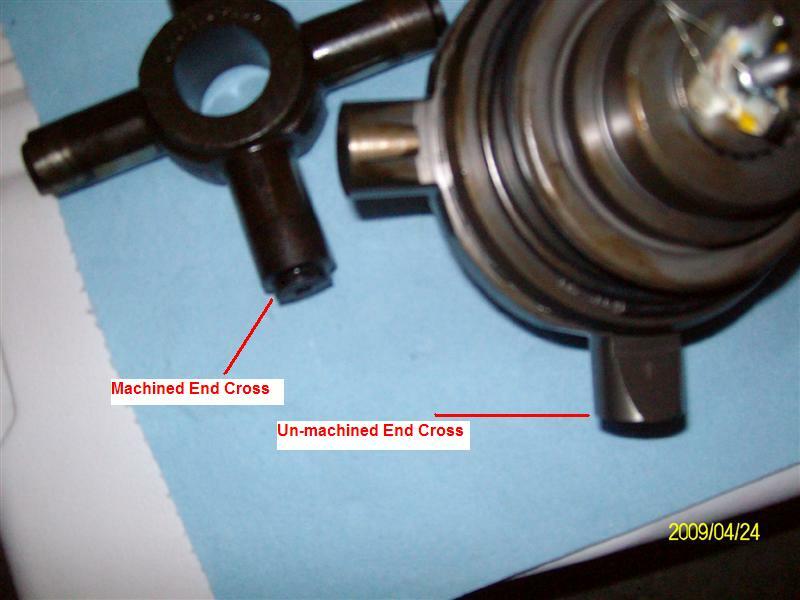 The DT does not have machined ends like the stock diff cross, so it will not drop in without some grinding. Don’t fear you won’t be grinding where the DT sits, just the ends of the split case. See the pics below. 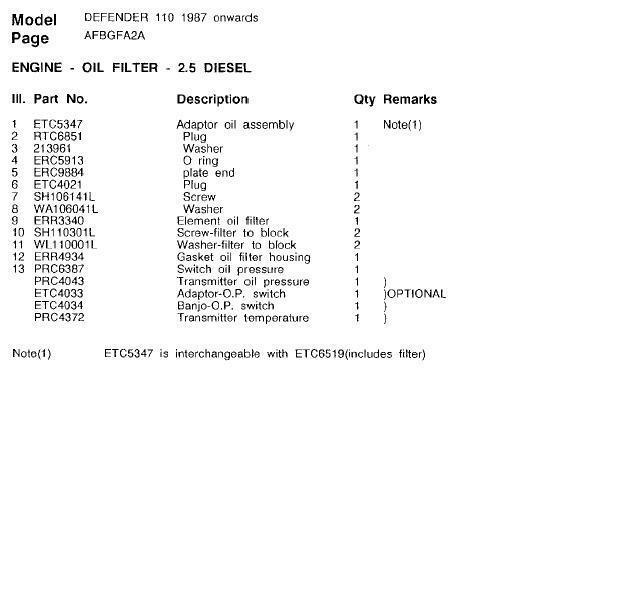 A solution for the series rover oil filter. Rover brakes are notoriously hard to bleed. I only have 2 tricks for you. First put the rover on ramps or jack up the front end as high as possible, this can help you bleed air out of the master cylinder. Sure bench bleeding the master cylinder is best, but this works too. The next trick is done when you are re-furbishing your brakes as some dis-assembly is required. Now get you trusty dog (preferably an Aussie) and 6 “C” clamps for a 109″, 4 “C” clamps for a 88″. 109 brakes are hard to bleed because the brake cylinder bled screw is at the bottom of the brake circuit and air gets trapped in the top cylinder without the clamp. Remove the drums, shoes and springs then place the “C” clamps on each and every brake cylinder; tightening each gently until the cylinder is fully compressed. Now bleed the brakes as you would normally do, furthest first. After you are finished bleeding the air out of the brakes release the “C” clamps and reassemble one brake at a time in the same order you bled, pump the brakes and re-fill the reservoir each time (as each cylinder will drop the level of the reservoir when the cylinder sets onto the shoe and we don’t want air in the system again)! And you are done and have rock solid brakes. This procedure covers the re-furbishment of pre-1968 Land Rover windshield mounted Lucas wiper motors. Note: This page is just a guideline for performing this procedure, please refer to references and the Green Bible if you have questions before starting. These repairs will fix problems with electrical connections, obstruction/friction based loading, brush renewal and general cleaning issues, it will not address coil or rotor based issues. I suggest you give all 4 post and mounting plates with a spray with penetrating oil a few days before you start, only the man upstairs knows how long they have been in place and it is very possible that the corrosion has seized the motor securely to the frame. First undo the electrical connections to the motors, marking each wires location and insulating the conductor with electrical tape. Next remove the windshield wipers and shaft adapters. The motors on the Land Rover are generally held in place by a pair of double-nuts on 2 threaded shafts, sometimes the shafts come off with the nuts this is fine set aside for later, remove nuts later. Remove the outer rubber washers, the wiper arm guard, the wiper motor seal and the outer wiper motor mounting block and gently give the parts a cleaning. Withdraw the motor from its mount, a little persuasion may be needed just go slowly. Move project to workbench or table top. If you are able to save one of the flat seals, make a template and cut new seals out of an old tire tube; the other formed seal is available from LR vendors. Starting from the back of the motor, first remove the mounting posts (if they did not remove while pulling the motor). Next take a remove the 2 slotted nuts in the inner mounting block with a slotted screwdriver (if the inner post sticks up too high you may need to use a pin wrench, but I have never found this to be a problem). With you safety glasses on, remove the C-clip attached to the wiper motor shaft, ensuring the you have a grasp on the spring (!!! WARNING !!! SPRING IS UNDER TENSION AND COULD CAUSE EYE DAMAGE), C-clip can be pried away with a small screwdriver, remove retaining washer and spring. Now remove the 3 nuts holding the rear case cover on the motor. Set all parts aside for cleaning and re-use. Looking at the back of the motor now you will probably see hard yellow waxy substance inside the rear cover and around the gears of the motor block, this was grease installed at the factory that has hardened. Lets now take a few pics and notes so we can get this bad boy back together. 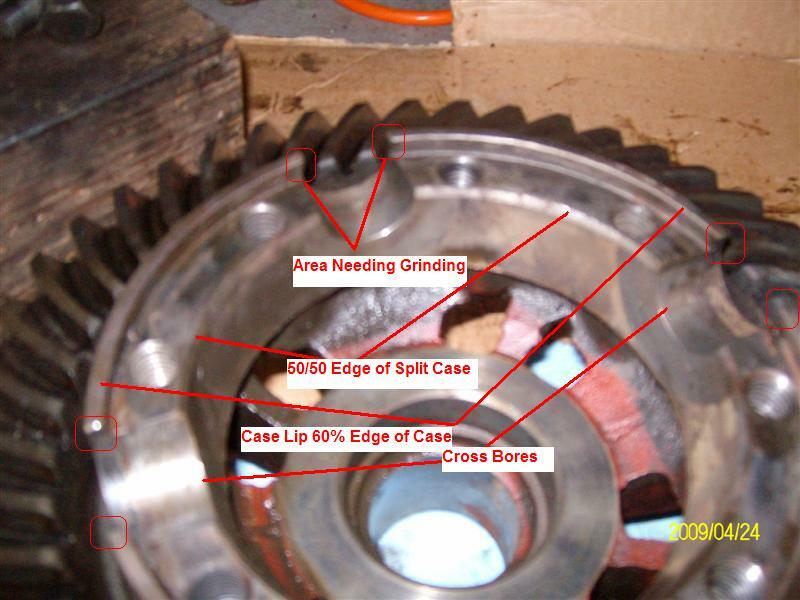 Working in we find the connecting rod, wiper crank arm, final gear drilled with an offset bearing, below the bearing is the pin from a shaft that runs to a follower arm where the motor shaft comes out of. 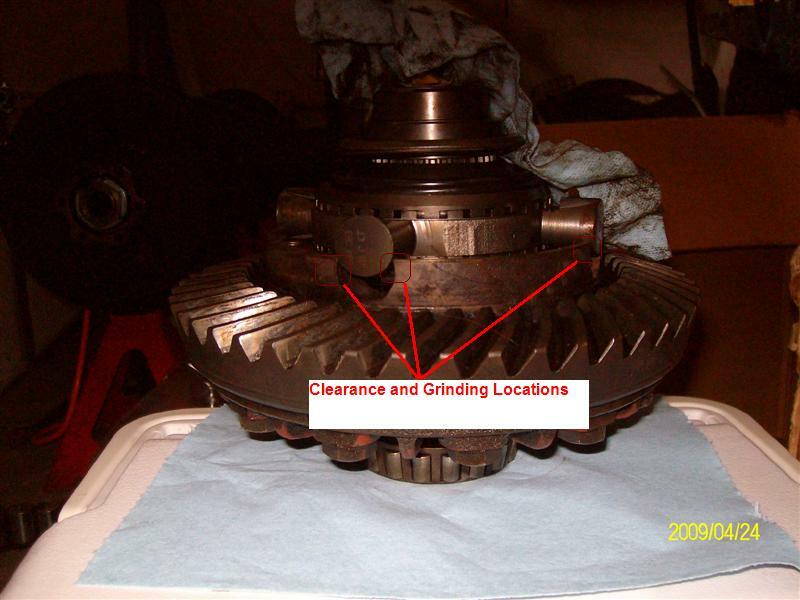 Under the outer final gear is a double intermediate gear which engages both the edge of the final gear and the motor shaft. The motor shaft runs into the motor casting where the motor (coil/rotor/brushes) is located. Carefully remove the connecting rod, gears, crank arm and the wiper shaft (this comes out the front of the wiper assembly). If you wish at this point you can remove the studs for the back case cover. I try to wipe away a much crud as possible before cleaning with solvent and a toothbrush; clean gears, pins, shafts and outer case covers. 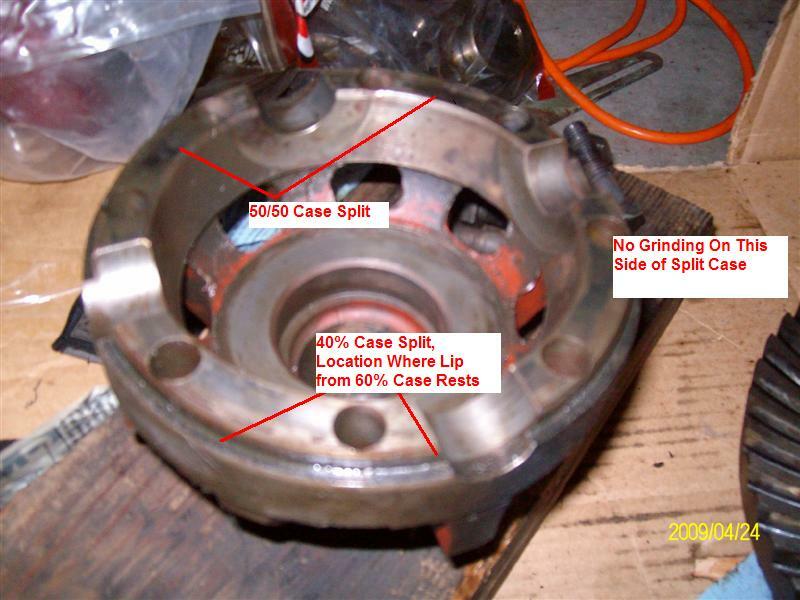 After removing the connecting rod and gears from the motor casting to clean all surfaces including hollow shafts and the bearings. Be careful, go slow and do not pressure/pry/stress the bearings; time is on your side. If things do not remove easily check for metal burrs on the hollow shaft and remove with a small fine file or Dremel. Now to remove the front cover. Using a slotted screwdriver remove the 2 screws on front of the housing cover and motor “ON” lever by pulling straight out. Gently pull away front cover a 1/2″, with small screwdriver pry and loosen the power screw pad toward the rear of the cover then remove front cover leaving power connection attached to commutator assembly. Remove with forceps the small spring holding the carbon brushes against the rotor. Now pull the brush arms away from the pivot studs, remove brush from commutator housing and dropout carbon brushes. If the carbon brushes are worn, replacements can be found at most hardware stores, it is worth replacing the brushes now that you come this far. Desolder the field coil and power input from cummutator bracket, you can do it without desoldering but be careful the wires are small old and brittle. Keep the solder handy. Remove the two Whitwoth nuts holding the cummutator bracket in place, letting slide up over the motor shaft. Next remove rotor, then the 2 studs retaining field coil and pole assembly and gently remove field coil and pole assembly from motor housing. Set aside all parts gently clean all parts, being especially careful with the field coil and rotor (please use only electrically safe solvents). Remove any further parts. This is basically the end of dis-assmebly. Clean all parts throughly. Paint rear outer case if desired, polish the front pot metal pieces if desired. Using a cotton swab dipped in solvent clean bearing holes. I like Castrol Purple Stuff and hot water to clean parts (not red fiber gear). The re-assembly is the opposite of dis-assembly so I will quickly go through this section. The first items to go back together are the pole and field coil assemblies in the motor housing and install studs holding these down. Next grease the rotor bearing surfaces (brass pieces) and install rotor. Install carbon brushes in arm and tighten nuts holding down communtator bracket. Re-install small spring across brush arms with forceps. Resolder field coil wires to cummutator and power input. Install wiper arm shaft. Moving to the back of the motor assembly grease all gears and brass bearing surfaces. Install intermediate gear, then the main gear, re-insert hollow shaft crank arm; greasing all bearing and pivot locations, finally install connecting rod. From the front of the motor housing, grease and insert the wiper arm shaft into the crank arm/bearing. Add a little extra grease where needed. Install back cover studs, then the back cover of wiper motor and install the 3 nuts holding the cover in place. Replace mounting block and tighten slotted nuts. Put a small amount of blue lock-tite on threaded rods and tighten into wiper motor housing. Install front cover on motor, replace selector switch and tighten 3 screws on the front of the wiper motor housing. 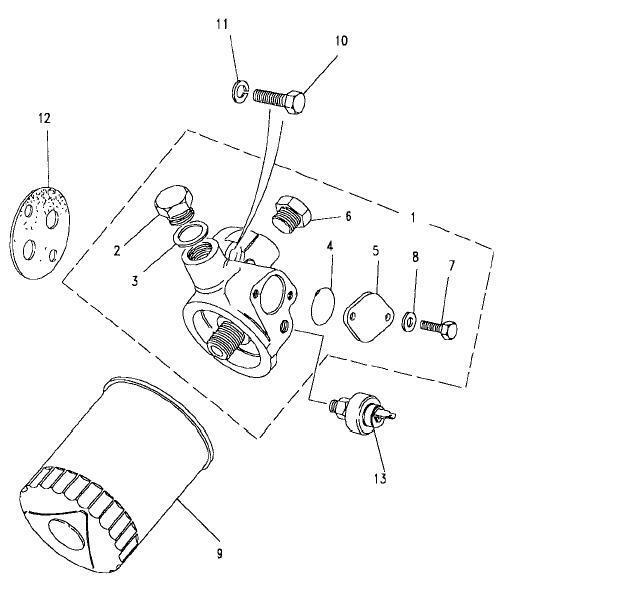 Install spring, retaining washer and C-clip on wiper arm shaft. Remount the wiper motor in windshield frame is the opposite of removal.